Numerous studies have cited the important role email plays in driving conversions, and Monetate’s Ecommerce report is the latest piece in the trail of evidence. How do you define success though? We cover that and tips to succeed in email marketing in our latest email marketing news digest! 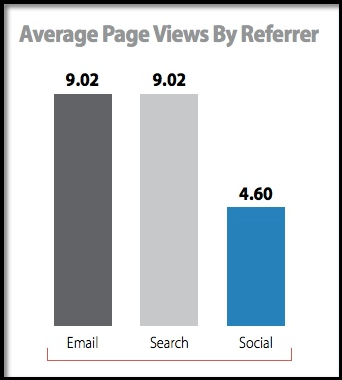 When it comes to ecommerce, Monetate’s Ecommerce report shows that email is the biggest driver of conversions, as well as the top referrer for the most average page views. If you’re new to the world of email marketing, here’s your cheat sheet: a list of email marketing metrics to measure your success. For detailed definitions, do read the full article! Email’s not only great for e-commerce, it’s great for financial advisers. Here are 7 Tips for financial advisers. I’m going to add another tip to this list: Tip 8 – All these tips work for professionals in other industries as well! Mike Veilleux from Dyn talks about the 5 Hottest Trends in Email Marketing that will help marketers reach the full potential of their email campaign. Landing pages running %500 giveaway contests generate 700% more email subscribers than those that don’t. Want to learn more about high volume sending for conversions? Watch the Six Secrets of Successful Sending webinar to find out how to make your email work better for you.